Enjoy the personalized attention of a private guide on this private walking tour of Florence. 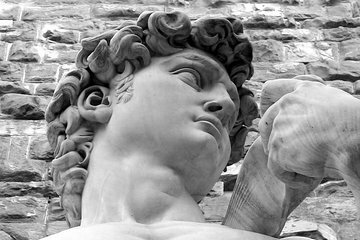 Make the most of your vacation time with skip-the-line tickets to the Accademia Gallery, the home of Michelangelo's statue of David, while listening to commentary from your guide. Other highlights include Piazza San Giovanni and Piazza del Duomo, the Cathedral Santa Maria del Fiore, Giotto’s Bell Tower, among others.